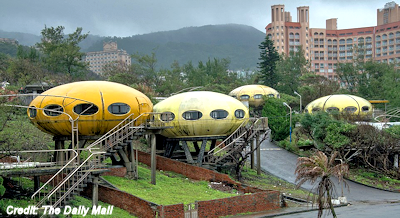 For those who like sci-fi, this abandoned village in Taiwan is definitely for you. Video footage shows an abandoned village where people lived in 'spaceships' until the late 1960s and early 1970s. It's thought that this village was abandoned due to a nearby redevelopment.